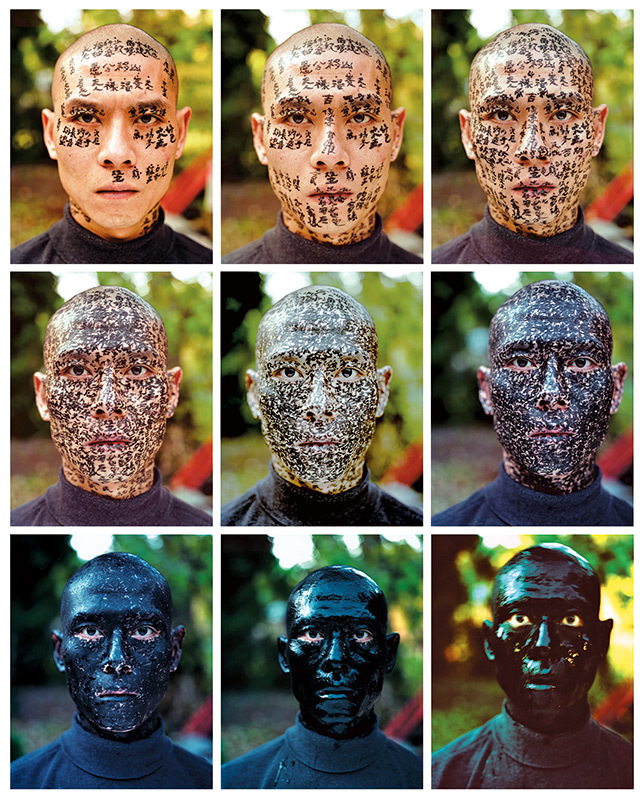 2 ZHANG HUAN began his career as a painter and then transitioned to performance art before making a comeback to painting. 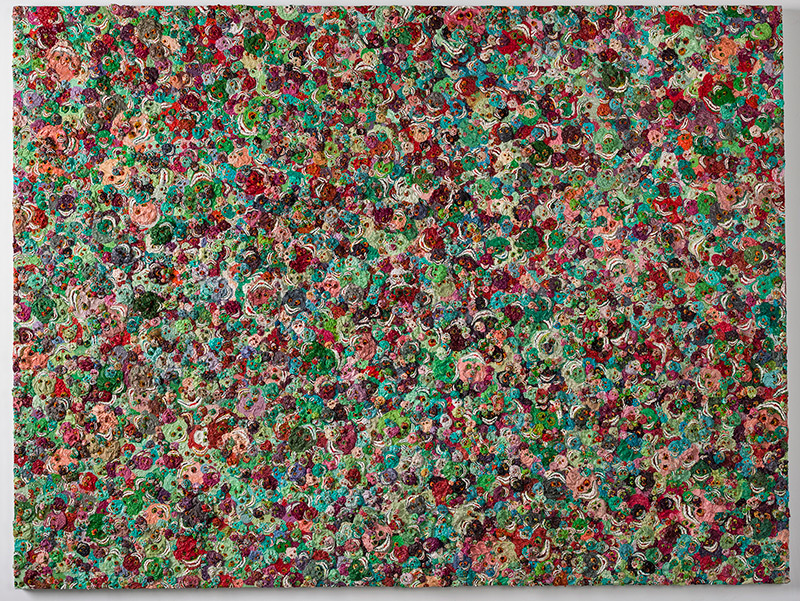 ZHANG HUAN began his career as a painter and then transitioned to performance art before making a comeback to painting. He is primarily a performance artist but also makes photographs and sculpture. His notoriety started in a small artistic community Beijing’s East Village in the early 1990’s. Zhang’s performances always involve his body in one way or another. He involves the body in his sculptures as well. Zhang helped forge a prominent place for performance in the contemporary arts of China and bring this work to the world’s attention. China-underground: When and where was your first performance? Can you tell us about your beginnings? Zhang Huan: The performance of Angels took place in October 1993 in the courtyard of the National Art Museum of China Namoc (China Art Gallery). It was the first time I used my body to make a public performance. The performance was part of a group exhibition for eleven students from my class at the Central Academy of Fine Arts. I read that you are a Buddhist, what does it mean to you? How much does it affect your art and your way to see the world? I believe in Buddhism. The Buddhism opened a gate for me to understand the world and the human beings. You are the Buddha, I am the Buddha and everyone is the Buddha. We are all heroes in our hearts. Did moving to different location influenced your art? Does this affect your way of creating art and your sense of identity? The experience overseas put me to thoroughly understand the circumstances for a Chinese people to live in a foreign country. My work Hard to Acclimatize (1999) is the expression of that circumstance. I gained more inspiration from the travel, visit and study around the world during the 8 years when I studied and worked in the countries away from my hometown. Meanwhile, I got to realize more clearly the direction of art which I pursued heartily. Hence I tried to adopted various materials and media for my works and gained instructive experience. The new media and experience had broadened the scope of my creation and brought me a more powerful self-confidence and an independent mind, which were the more important things I treasured. You did performances and exhibitions around the world. Did you find any difference in working in China compared to other countries? 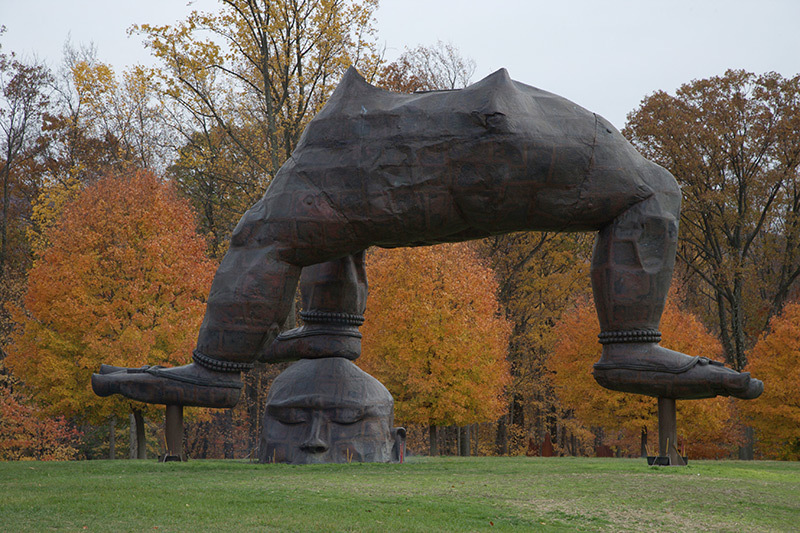 “Zhang Huan, born in Henan in 1965.” This sentence is what an artist needs to do in his whole life. An artist is free because no one can control his brain and inner feelings. Are your works related to your personal life experience? My inspiration is from the most trivial things in daily life such as eating, sleeping, working, and those which are always ignored in our ordinary life. I always discover and experience the nature of humanity from such things. What I want to experience in my artworks is survival, the physical body, and the truth. How did your new works are related to your earlier? In your artistic career, you used a lot of different art medium. Did you follow a line that combines a path? Which medium most represent you? Naturally, people will adopt corresponding ways to express their different ideas due to changing ages and living conditions. I don’t like to repeat that I have done. 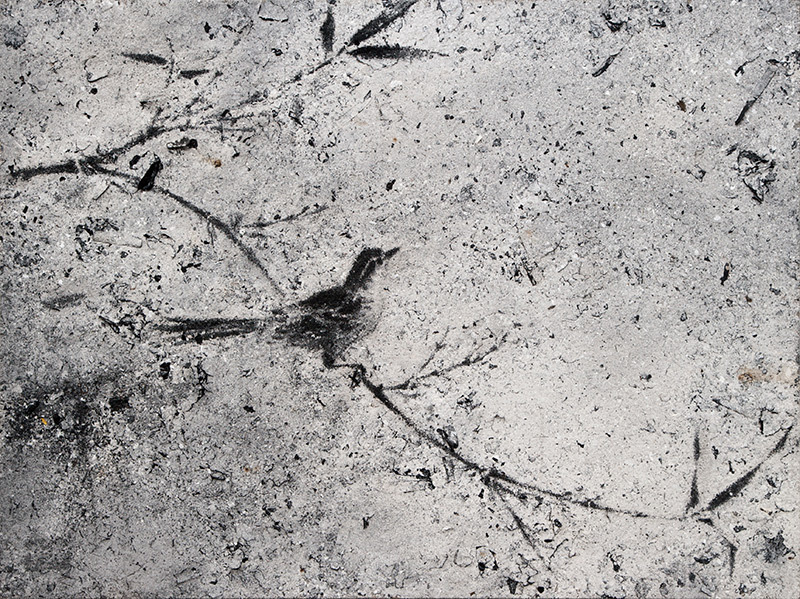 My works are related to my experience of life. My artworks can be considered as a whole piece, through which are my outlooks on life and the world. Now I use various media and skills in my works, so the patterns of manifestation seem different from the previous pieces. However, the kernel remains the same, because the DNA in me will not be changed. As artists and as individuals, we select materials as message-carriers to reconnect with the spiritual world outside of our everyday life. I feel comfortable to work with the medium that suits my ideas and works. For example, I like incense ash. To me, ash is not simply a medium for painting. It is the collective memory, collective soul and collective blessings of the people in China. There is a moment in your art career you are particularly connected? Are there any of your work dedicated to someone or to a moment that marked a significant change in your life? There are many of them. I moved from my hometown to Beijing, then New York and then back to Shanghai, China. The works during these periods mark the changes. 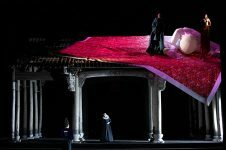 In September 2009, the opera Semele was performed at the Theatre Royal De La Monnaie in Brussels, Belgium, I worked as director and stage designer. I am someone who has never designed a set before. This time around, I was very excited to have the luck and opportunity to be able to take an ancestral family temple with over 450 years of history and use it on the stage of a 300-year-old European opera house. Mr. Fang lived in this ancestral temple with his family in Quzhou, at the border region between Zhejiang and Anhui Provinces in China. When we were dismantling the structure, we collected the personal items that Mr. Fang and his family had left behind, among these articles was a diary written by the late Mr. Fang before he was executed. A majority of this diary is written about his love and hate for his wife and his sense of responsibility and helplessness toward his family. After reading through this diary, I suddenly came upon an inspiration for the opera, along with the seeds for the main set of “Semele.” My goal is to allow the opera singers to reenact this classical Western opera on an Eastern stage latent with the tragic emotions of “Semele.” While at the same time allowing Western guests who enter the opera house to experience the dramatic beauty and pain common to all human beings. Love and hate, life and death are topics that will forever hang over the human race. The fact that the roots of pain introduced thousands of years ago in a Western opera, reappear in the East in the fate of a single peasant family in the countryside of China can make us continually ponder the redemptive qualities of humanity. How much has art changed in China since you started? What is your relationship with the new art community? 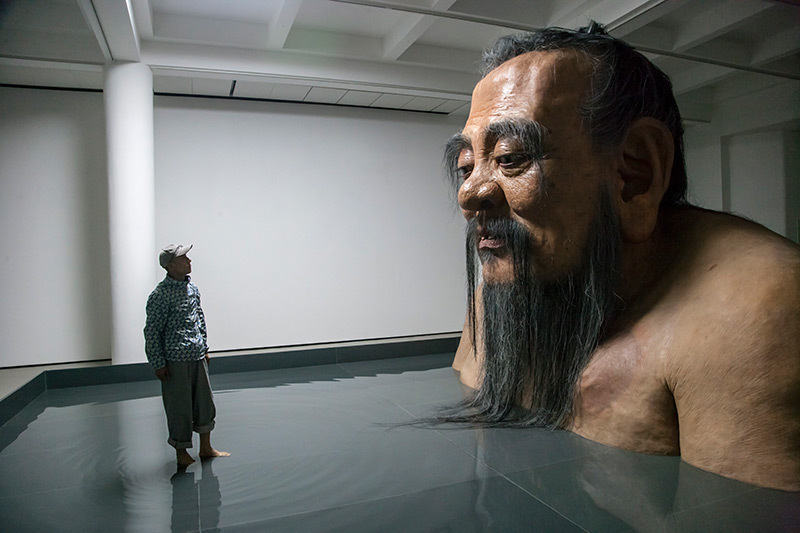 Art is undergoing constant changes in China, or we can say it has been booming. Artists of the younger generation are more open-minded. What is your relationship with the social networks? Do social media and new technologies influencing art and audience in China? I use the social networks too, but not too much. 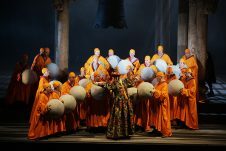 Yes，social media and new technologies are influencing art and audience in China positively. I read that when you were living in New York, you were surprised by the relationship that the locals had with dogs. Now, this type of relationship is also becoming common for some Chinese in the Mainland, what do you think? It means we are at the same stage of development. Humans are the same.